Logi-Serve implemented our Service and Sales Assessment for sales personnel in a network of European automobile dealerships looking to improve customer service. Those who scored high on the Logi-Serve assessment were more likely to have experienced positive customer service events like positive feedback, as well as less likely to experience negative events like customer complaints. 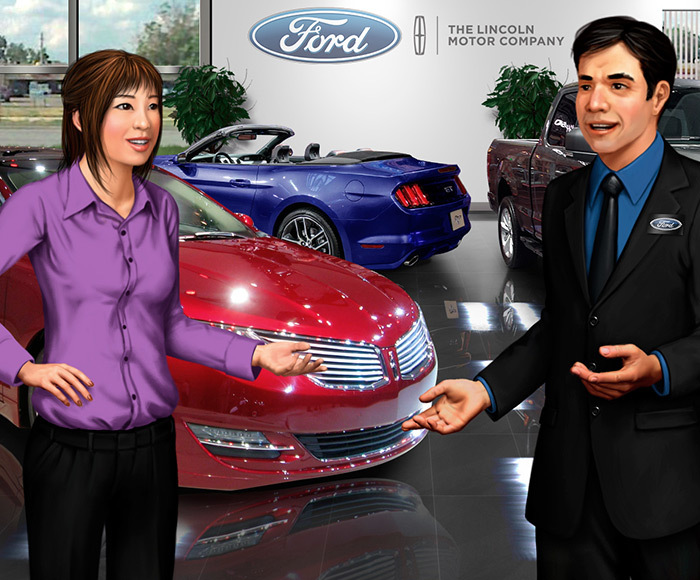 MSXI offers a best-in-class People@Retail training program specialized for automotive retail dealerships designed to improve employee performance in key service and sales roles. Logi-Serve worked closely with MSXI and the OEM to improve service associated with sales-related positions within the OEM's market. Our client recognized that customer service was increasingly important aspect of the sales process, and looked for a science-based assessment that could help them diagnose their sales staff and identify areas for improvement. Logi-Serve implemented our Service and Sales Assessment and created a customized benchmark across the sales positions using the competency profiles of the client’s top-performing incumbent employees. The scoring benchmark successfully predicted the performance of the sales personnel assessed. Those who scored higher on the Logi-Serve assessment were more likely to have experienced positive events like positive feedback and improvements in performance, as well as less likely to experience negative events like customer complaints or requests to improve their service.